The ancient Greek pandoura (or pandora) was a medium or long-necked lute with a small resonating chamber. It commonly had three strings: such an instrument was also known as the trichordon (McKinnon 1984:10). Its descendants still survive as North African Kuitras and Balkan tamburitsas. Renato Meucci (1996) suggests that the some Italian Renaissance descendants of Pandura type were called chitarra italiana, mandore or mandola. 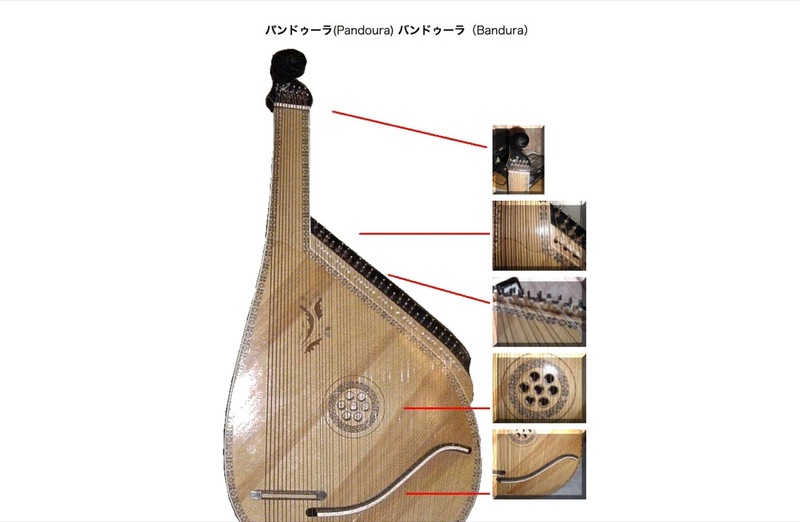 In the eighteenth century the pandurina (mandore) was often referred to as mandolino milanese.